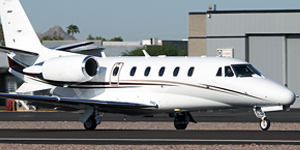 Charter, purchase, or lease a Cessna Citation Latitude with Air Charter Advisors. 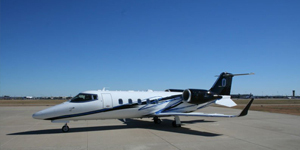 Manufactured by Textron Aviation in Wichita, Kansas, the Latitude debuted in 2014 with the Model 680A, and has become the world’s best selling midsize jet. The Cessna 680A Citation Latitude — the world’s best selling midsize business jet. 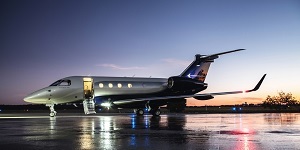 Positioning itself as first business jet to hit the market combining a wide, flat floor and a stand-up cabin at midsize pricing, the Latitude offers the widest body in the Citation family. 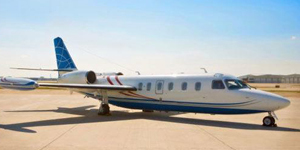 It also offers an attractive option for potential owners, debuting as a larger aircraft than the Citation XLS+, while costing less than the model it’s derived from, the Model 680 Sovereign. 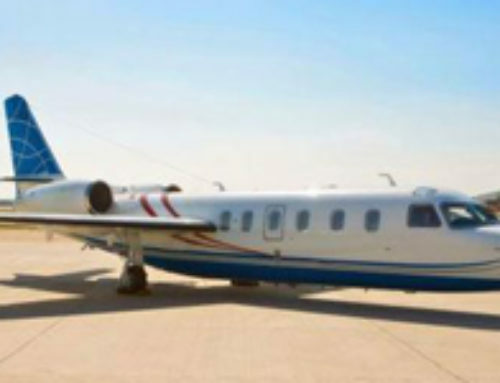 Ideal for cross country flights and corporate/private ownership, the Latitude delivers Cessna Citation’s proven reliability and innovation along with top of its class performance, a spacious cabin, and standard equipment beyond midsize expectations. 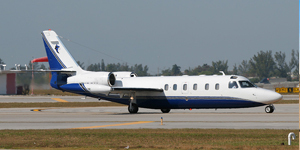 Call our private jet advisors at 1-888-987-JETS for sales/purchase inquiries, jet cards, and private jet charter pricing/availability on the Cessna 680A Citation Latitude. Hourly charter rates on the Citation Latitude will vary based on the year of make, aircraft scheduling, routing, passenger amounts, and additional factors. Call us for a free quote with all-inclusive pricing on your next private flight. The Citation Latitude (Model 680A) has managed to become the best selling business jet in its class, offering a different kind of business jet for luxury and executive travelers. 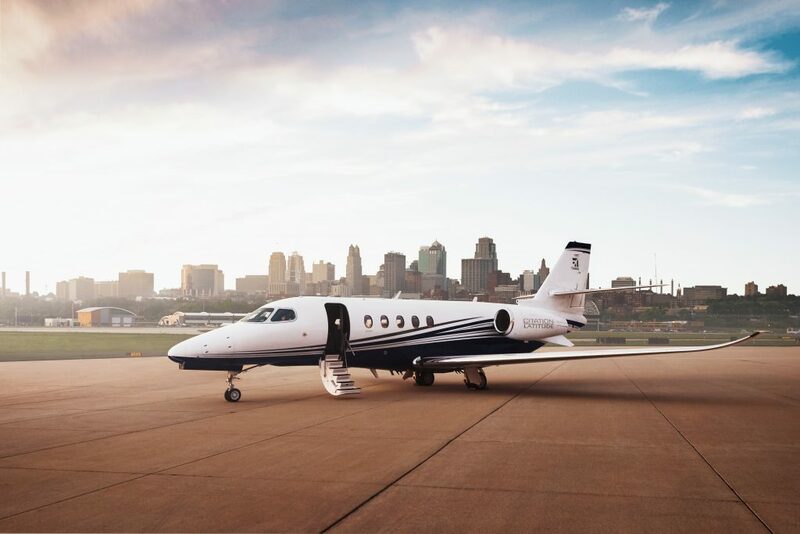 While other private jet manufacturers are focusing more and more on long range jets, Cessna/Textron Aviation has turned it’s attention to the growing segment of midsize jets, a smart move considering the popularity of its Citation Excel/XLS/XLS+. Filling the gap in the Citation line-up, the Latitude is bigger and offers more range than the XLS, while remaining lighter and more cost effective than the Sovereign. The Latitude’s large windows and exceptional cabin space offers superior comfort, measuring nearly 21’9″ in length, 6’5″ wide, and offering 6 feet of headroom. You’ll also experience a comfortable cabin altitude of 5,950 feet while cruising above inclimate weather at a maximum height 45,000 feet. Seats have been ergonomically designed with 30 inches of legroom to offer maximum comfort during long flights at 0.80 mach, but if you’re not one to stay seated, it’s flat cabin floor and 6′ cabin height allows you to freely walk throughout the cabin mid-flight. The lavatory on this aircraft is exceptionally large; in fact, the Latitude’s lav is 60 percent larger than its closest competitor. The aircraft’s class-leading external baggage compartment offers 1,000 pounds and 127 cubic feet of storage and features integrated steps for ease of access. Executives, media members and other business travelers can stay connected with the Latitiude’s state-of-the-art cabin management systems and internet connectivity. Coming as a standard feature offering complete control from your personal mobile device, the system allows passengers to access digital media, maps, and satellite radio. 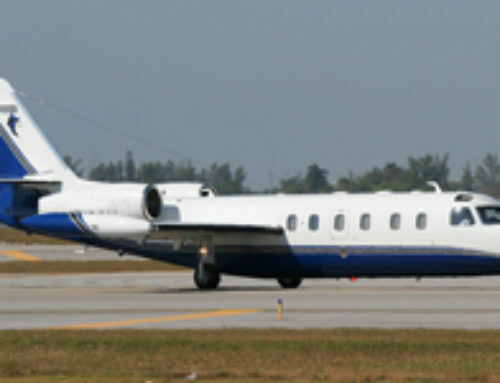 The Cessna 680A is powered by Pratt & Whitney PW306D1 engines, each delivering 5,907 lbs of thrust. The aircraft provides a 2,700 nautical mile flight range, flying non-stop from LA to DC. In addition to its cross country range, it also delivers outstanding performance with an average cruise speed of 513 mph, allowing executives to fly from Hong Kong to Singapore in just 3 hours 30 minutes. The Pratt & Whitney engines features low-cost maintenance, proven reliability, and outstanding fuel efficiency to lower operating costs. 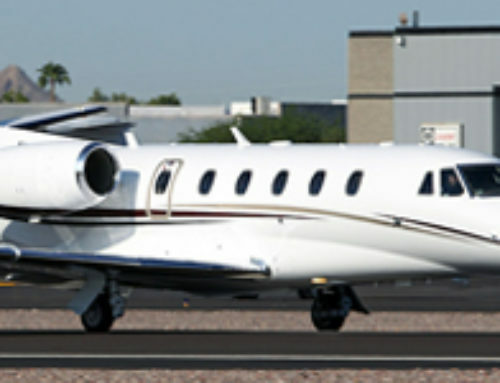 The Latitude’s also features a clean-wing design to quickly gain altitude and reduce the takeoff field length to 3,580 feet — although its take-off requirement limits access to smaller airports, it still offers outstanding flexibility for a jet of its size, and direct access to most of the world’s major private jet airports. In addition to outstanding comfort and class-leading performance that leads to lower cost of ownership, the Latitude’s cabin can be tailor-made to your liking. Latitude owners can customize the cabin to suit their tastes, with interior trims that include Bisque, Black Edition, Carnegie, French Roast, Hyde Park, and Silver Frost. The flight deck is centered around Garmin G5000 avionics, providing pilots with all the information they need while offering the comfort needed for a reliable, efficient flight. Standard avionic features include fully integrated auto-throttles, Garmin SVT, Intrinzic flight deck controls, touch-screen control panels, Flight Management Systems (FMS), transponders with ADS-B Out capability. LinxUs, a fault-isolation system that constantly monitors the aircraft, is optionally available. Delivering an outstanding 2,700 nautical mile range and seating for up to 9 passengers, the Citation Latitude is quickly becoming one of the most popular midsize business jets for charter — this jet has no trouble flying non-stop from Van Nuys (Los Angeles) to Dulles (Washington DC). 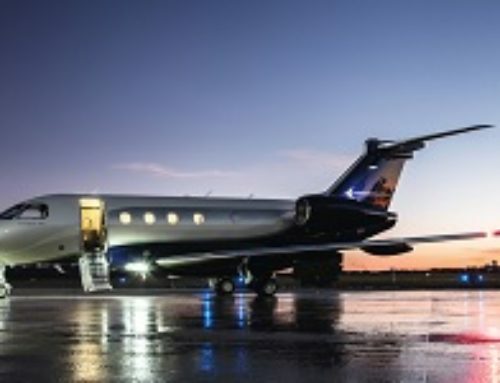 It’s also the world’s top selling midsize jet, offering a state-of-the-art flight with advanced avionics, and a customizable cabin that suits any taste. 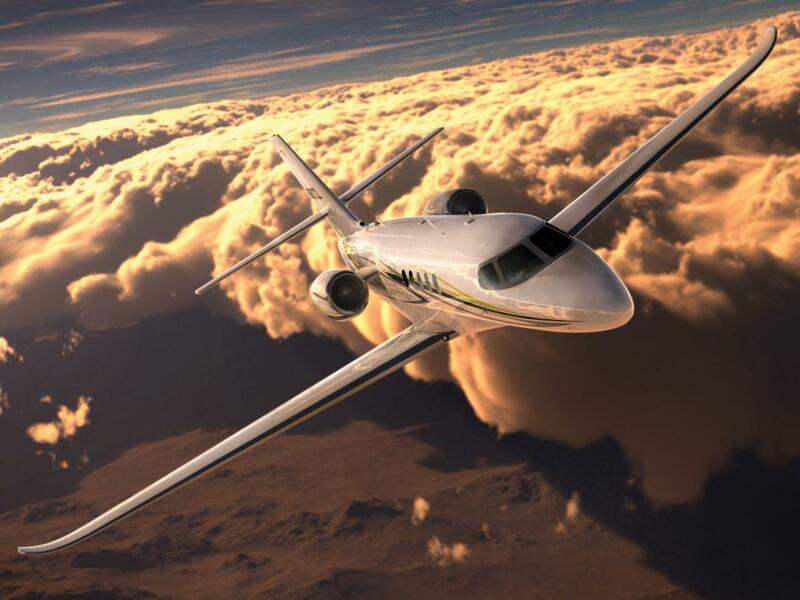 Air Charter Advisors offers comprehensive aviation services on the Citation Latitude, from on-demand private jet charter and midsize jet card programs, to aircraft acquisitions/sales and charter marketing & management for aircraft owners. 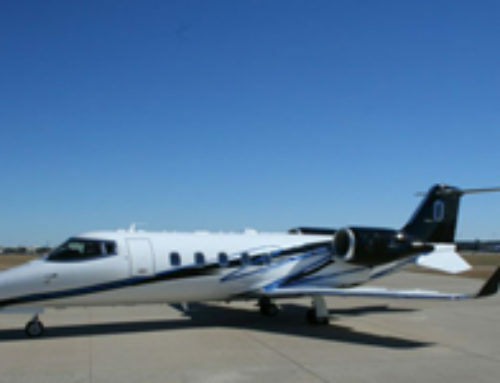 Whether you’re looking to charter, purchase, or sell a Cessna 680A, submit your request via our contact form, or call our brokers directly at 1-888-987-5387.